Salmo n with dill is the Swedish equivalent to American meat loaf. 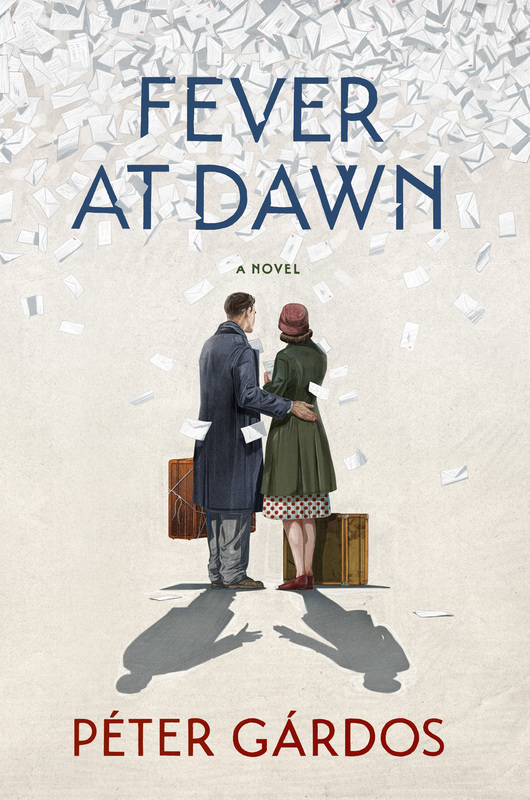 In Fever at Dawn, the main character, Miklos, is brought to Sweden to convalesce after surviving the horrors of WWII. It’s easy to imagine he would have seen this dish everywhere there. This simple and easy dish is paired perfectly with a raw kale salad. This cooking technique will give you salmon that’s creamy, almost custardy. If you prefer it more well done, leave it in the skillet for a few more minutes. In a mini food processor or blender, blend together 2 tablespoons of the olive oil, the lemon juice, mustard, dill, garlic, chili powder, coriander, cumin, and ¼ teaspoon pepper into a paste. Transfer the paste to a bowl. Heat the remaining 2 tablespoons olive oil in a large skillet over medium-high heat. When it shimmers, add the salmon fillets, skin side down, and brush half of the paste on the fillets. Cook for 4 minutes, then add the butter. 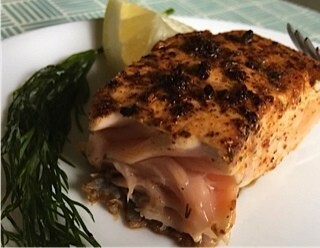 Continue to cook, spooning the oil and butter over the salmon, for 2 minutes. You’ll see the color changing as the salmon cooks from the bottom. Flip the salmon and brush the remaining paste onto the other side. You just want the heat to kiss the salmon on this side, so take it out after a few seconds. Let the salmon rest for a few minutes before serving.